At Illinois, you have access to countless opportunities and support to ensure an amazing experience both inside and outside the classroom. Get involved in student activities, network with alumni and potential employers, and take advantage of services designed to help you make the most of your college career. Engage in your community inside and outside the classroom. We take great pride in showcasing the talent and accomplishments of the CS @ ILLINOIS students, faculty, staff, and alumni. Send your pride points to awesome@cs.illinois.edu and you may be featured in the monthly internal or external e-newsletters, click! Magazine, or on the website or video wall. Student organizations at the department, college, and campus levels provide numerous extra-curricular activities and experiences that are available for every student to explore. Opportunities can include gaining leadership and professional development experience, being a mentor or mentee, volunteering for a wide range of service projects, and social events to meet new friends and have fun. CS @ ILLINOIS hosts several Inreach, Outreach, and Signature events each year to build community within Siebel Center. There are also many events across departments, colleges, and campus to braoden your network of fellow Illini. There are a wide variety of campus and community resources available to keep students healthy and well during their time on campus. Learn more about the services you could benefit from, or might be of help to a friend in need. 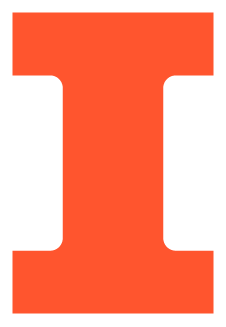 Illinois, Engineering, and CS @ ILLINOIS have a dedicated team to help you explore the many career opportunities in industry or academia.